Super Duty Anchor Slings 8 foot (852) WITH backing strap. Add versatility to any tactical, rescue or rigging system. Large D ring at ends of strap allow the sling to be wrapped single, double, triple and rigged choker style depending on the particular situation. 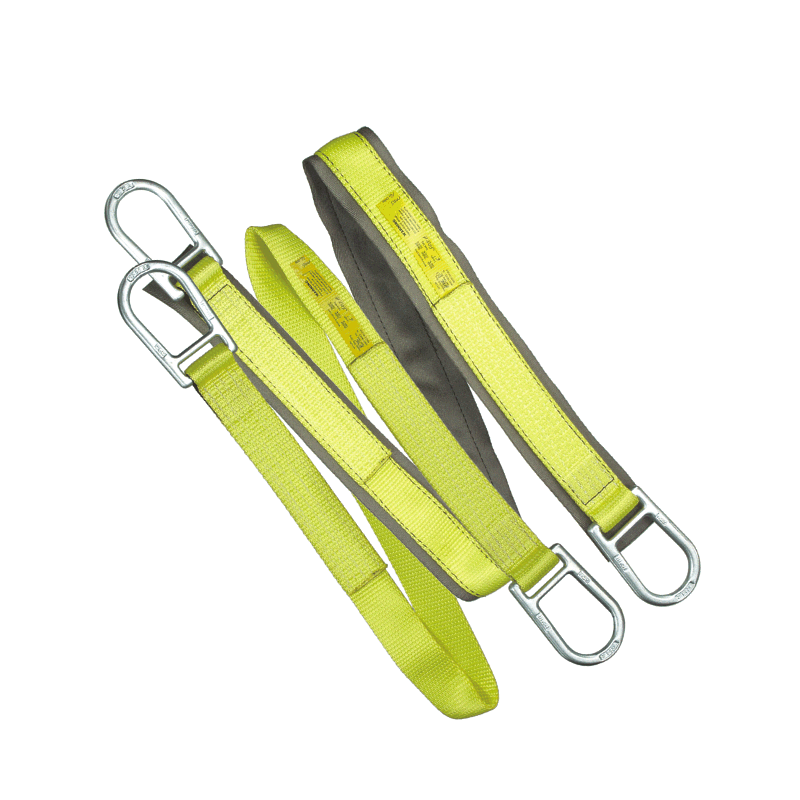 Manufactured from 2 inch super heavy duty webbing. D rings are rated at 20,000 lbf. Available with with 3 inch nylon wear pad for extra durability. Longer lengths also available to 20 feet. Available in yellow. Strength: Super Duty 15,000 lbf. WLL 1500 lbf at 10:1 Safety margin.